Social media’s popularity continues to skyrocket, adding new ways to track and communicate with friends and colleagues every day. While the interactivity has improved our networking skills, checking several social media Web sites every day can greatly lessen our productivity—not to mention infringe on our free time. LiveGo is a new service designed to help us keep up with the most popular social media accounts from one single Web site. 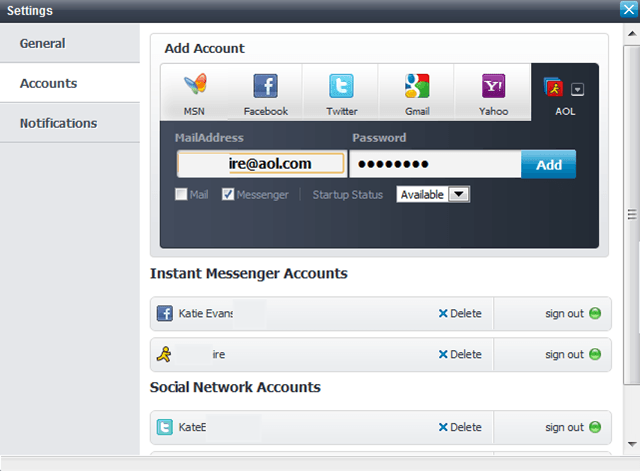 To start using LiveGo, select one of your favorite instant messaging or social networking services from the box on the right and enter your account information. You will need to Allow LiveGo to connect with most services. 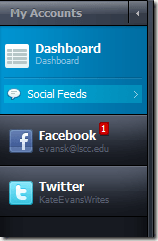 Once connected, a window will open asking you to add your other social media accounts. 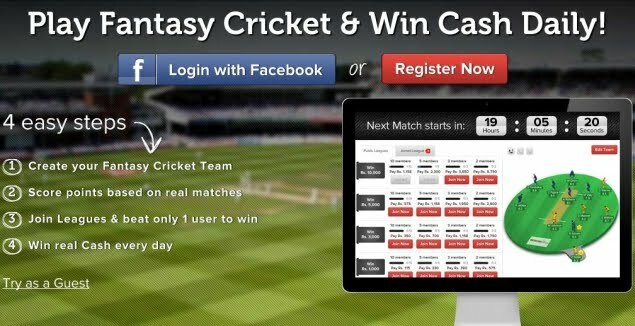 Click through each service that you routinely use and enter your account information. You will be asked if you want to send invitations to LiveGo to your friends. If you do not, be sure to uncheck the box each time. 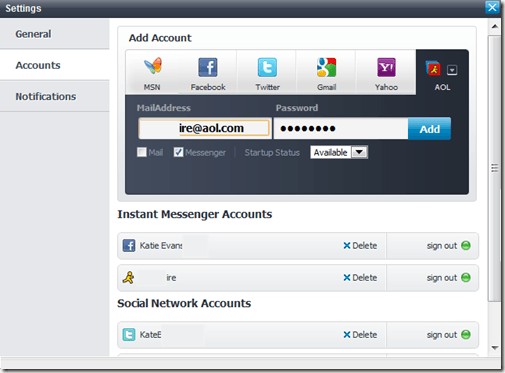 With all of your account information entered, you can now monitor all emails (including Gmail, AOL, MSN, Yahoo, and Facebook), news feeds and instant messages from a single console. At the very top of the console, you can update your status by simply entering a message and clicking Update. The status will post to both Facebook and Twitter. To use enhanced status features, like shortened URLs, click one of the icons next to the word Update. A more advanced status editor will open. Enter your message and click Update. Notifications from each of your services appear in a menu on the left. Click the icon for any service and advanced connection options appear. For Facebook, you can check your notifications and messages, view your photos, and manage pages groups. On the far right of the screen, you can send a message anyone in any of your instant messaging contact lists. LiveGo is one of many aggregators for social media, but its features are some of the best we have seen so far. 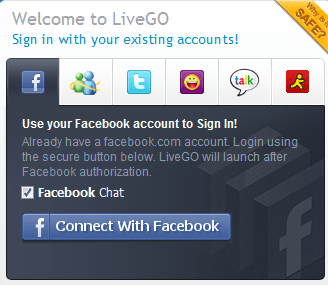 With its Web-based interface, LiveGo can be accessed from absolutely any computer and most tablets. 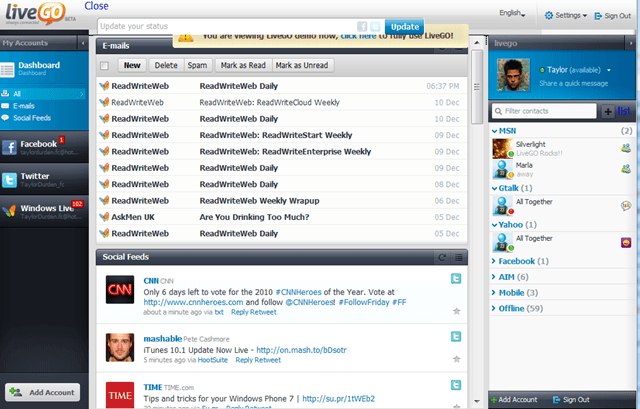 We like how it displays emails, news feeds and instant messaging options all at once, without having to open separate windows. We would like to see LiveGo integrate other social networking services, like LinkedIN, but even with just the current services, it is a strong social media aggregator.